The first weekend, October 11-13, will consist of a sequence of pieces performed by the Youth and Adult companies, headed by Toni Bravo. 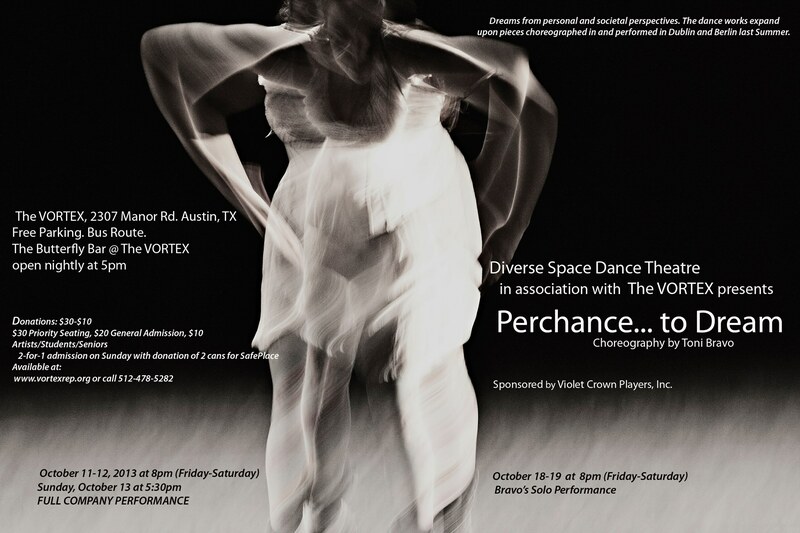 On the second weekend, October 18 and 19, Bravo will perform several solos connected by the common subject of dreams. Limited seating. Advanced Purchase Recommended. Radical Rush offers limited free tickets every performance night in the spirit of sustainability, accessibility, and participating in the gift economy. Radical Rush tickets released at 7pm each night–first come first serve! In-person only!